Also lowered: .BIBLE - here the price drops from currently USD 226.10* to USD 74.61* per year. The new price is valid starting from May 1st, 6pm UTC. Search here for a free .AUTOS or .BIBLE domain. *incl. 19% VAT for German customers, price may vary in your region, depending on your VAT rate. .Monster is a domain for creative thinkers, for masters of their craft, and for modern day renegades. The meaning of .Monster is as imaginative as you are - whether you want a name that enhances your killer brand, a domain that is as experimental as your latest project, or a wacky and memorable platform for your great sense of humor. Choose .Monster domains for your scary good ideas and get creative with a website name that towers above the crowd. You can register your .monster domain starting from April 1st, 14:00 UTC for USD 16.26 per year. As you may know, Joker.com and all ICANN-accredited registrars are required to deposit the domain data they manage in a secure environment on an escrow basis. This ensures that domain data remains accessible even in the event of serious problems with a registrar. For a few days now, in addition to the previous standard escrow provider "Iron Mountain" (U.S.A.), German DENIC eG has been equipped with an ICANN license as a second provider. 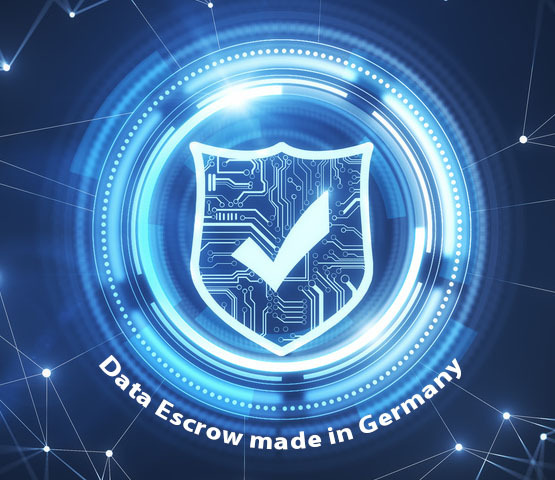 We are pleased to announce that since June 13th 2018 Joker.com has entrusted DENIC eG with the escrow management of our domain data. This also simplifies compliance with the GDPR in that there is no additional transfer of domain data outside the EU. DENIC Escrow Services operates in full compliance with the GDPR and is ISO 27001 certified. Google's Domain .APP will soon be available for everyone. Before the general availability phase starts (May 1st) you will have the opportunity to preregister your .app domains with Joker.com. Apps make the mobile world go ‘round, and now they have their own more secure home on the web: the .app domain, the most relevant TLD for mobile apps. You can use your .app name to showcase a unique and trustworthy destination, as a relevant download link, for deep linking, or for sharing screenshots, release notes, and reviews. Get your .app domain now to start sharing your app with the world. How Can I Preregister My .APP Domain? Just log into your Joker.com account and visit our sunrise page. The preregistration is divided into different phases with decreasing prices until the domain will be available for everyone on May 8th. The more sought after you expect a domain name to be, the earlier you should try to register it, of course. Starting from May 8th, the price for registrations of .app domains will be USD 22.80*) for one year.